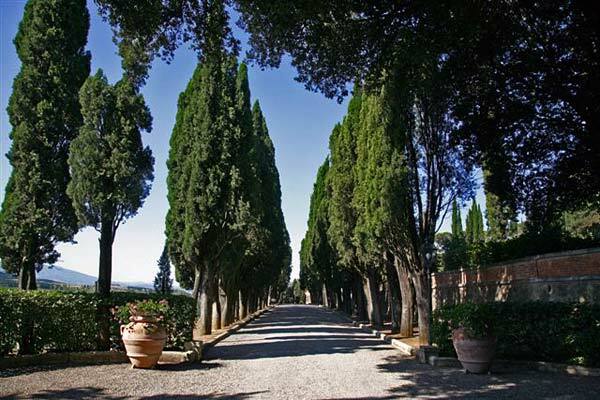 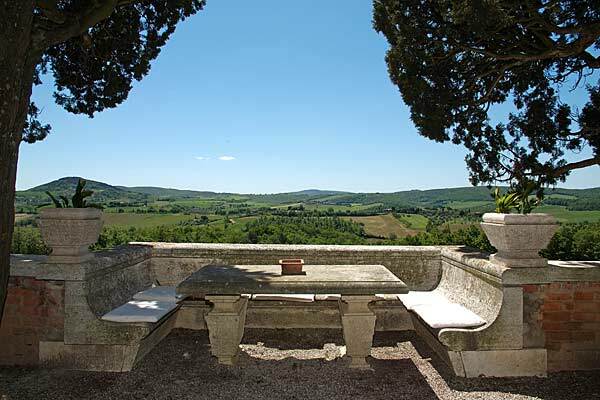 Villa Poggiano nestles amid six hectares of parkland, on a crest above the gentle hills of Val d’Orcia, just 2 kilometres from Montepulciano. 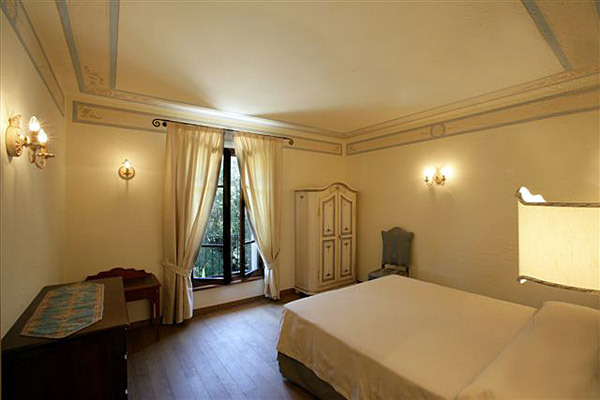 After long and meticulous reconstruction work, the present owners have at last restored the 18th century Villa to its original splendour. 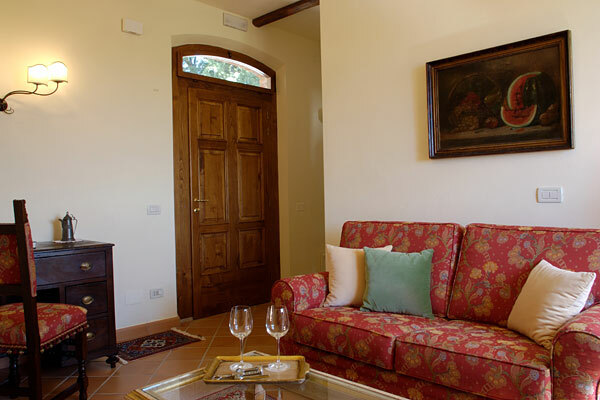 Guests to the Villa will find a refined and exclusive environment, nevertheless characterised by the warm welcome that only a family-run establishment can offer. 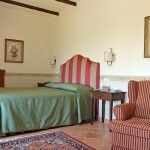 The hotel offers 3 double rooms and 11 suites all very different from one another and we have 4 category. 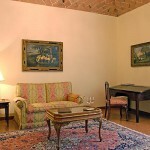 Furnished with antique furniture, paintings tapestry, creating an elegant yet warm and welcoming environment. 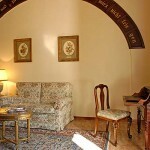 The rooms and suites are located in different building. 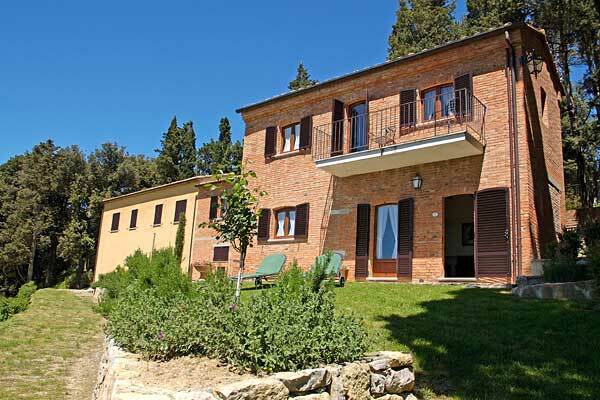 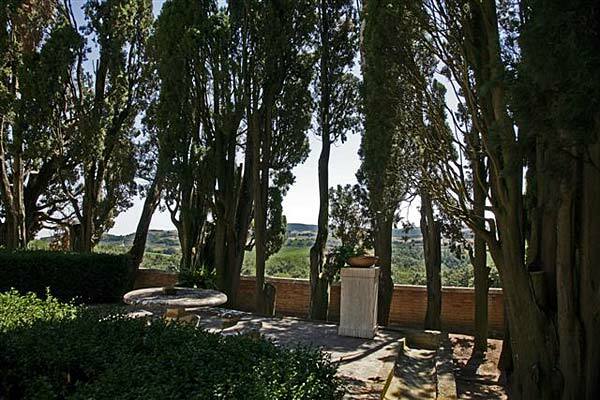 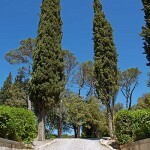 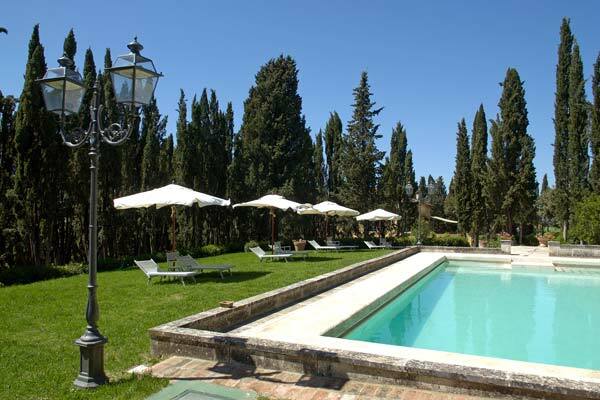 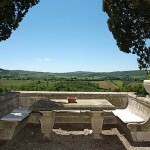 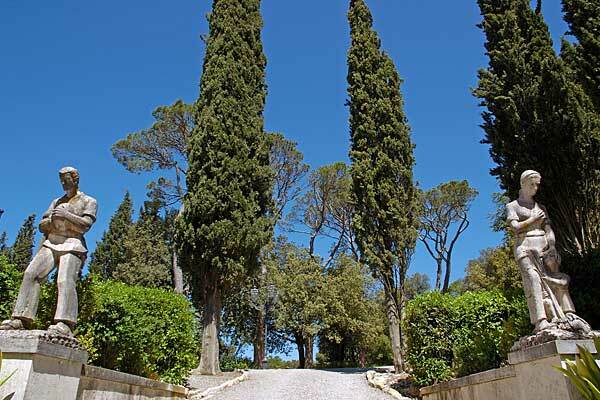 Those situated in the Villa overlook the Italian garden and the splendid marble swimming pool while those in the lodges located in the grounds of the Villa enjoy a magnificent view of the endless cornfields, vineyards and olive groves of Val D’Orcia. 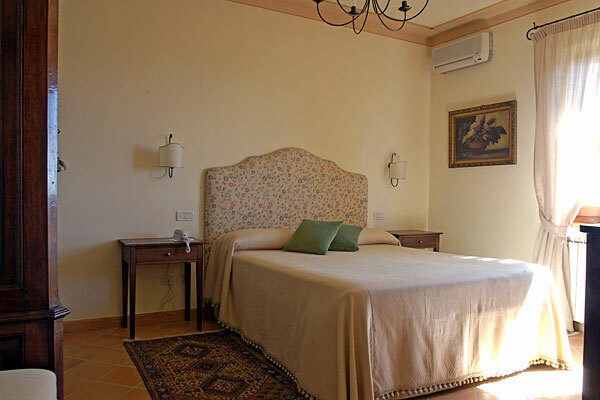 All rooms feature air conditioning, satellite TV, a strongbox, a mini-bar, tea cattle, free wi fi connection and an external telephone line. 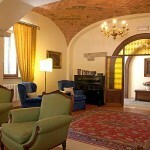 All common area have wifi connection plus a internet point in the lobby. 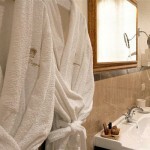 There can be no better way to start the day than with a superb breakfast. 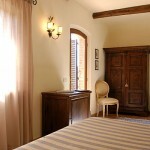 Every morning guests are treated to a display of delicious cakes, biscuits and pastries all home made by the hotel chef. 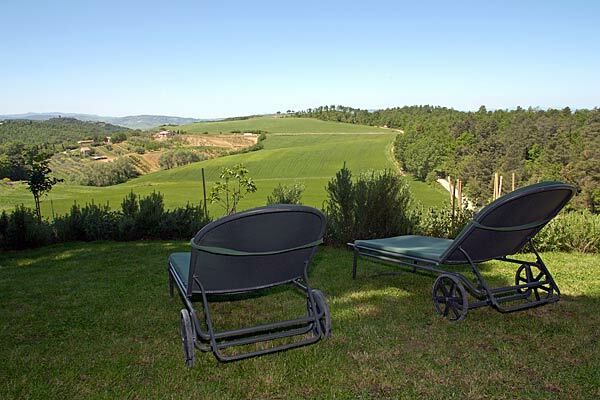 There is a selection of pecorino cheeses, Tuscan cured meats and numerous other specialities which vary according to the season. 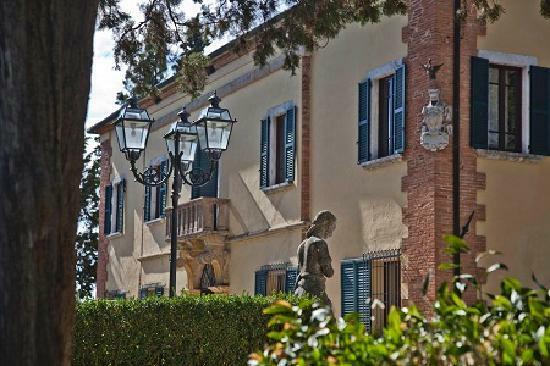 The aim is to make your stay at Villa Poggiano a truly peaceful experience where time passes at a gloriously gentle pace and to reflect this philosophy, breakfast continues to be served until 11.00am. 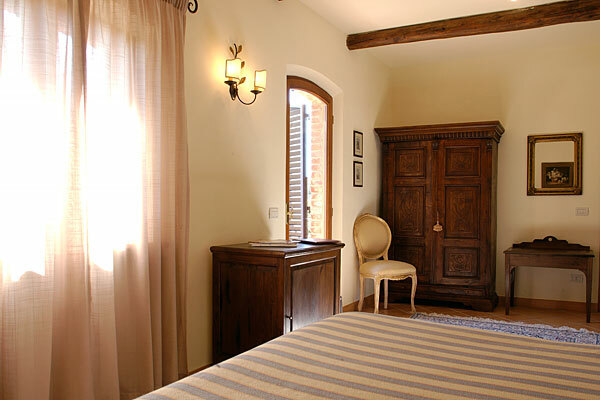 The elegant suites and rooms are elegantly furnished with antique furniture, paintings and fittings, while the spacious marble bathrooms are fitted with showers or/and bathtubs. 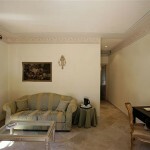 All the luxury suites have satellite TV, strongbox, mini-bar, direct access to Internet and an external telephone line. 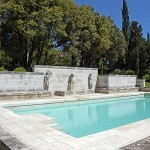 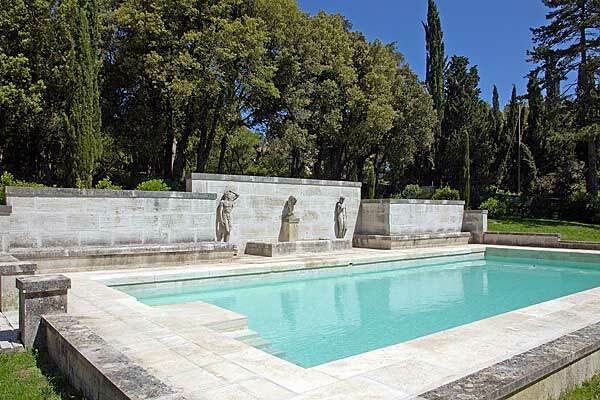 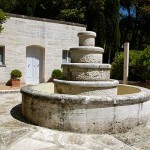 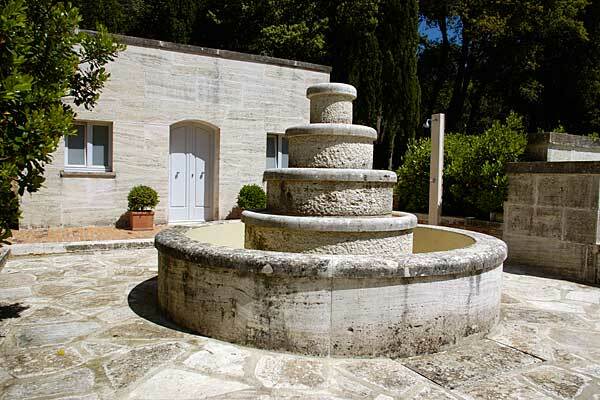 The Villa boasts a magnificent marble swimming pool decorated with statues and fountains, built at the beginning of the1900s. 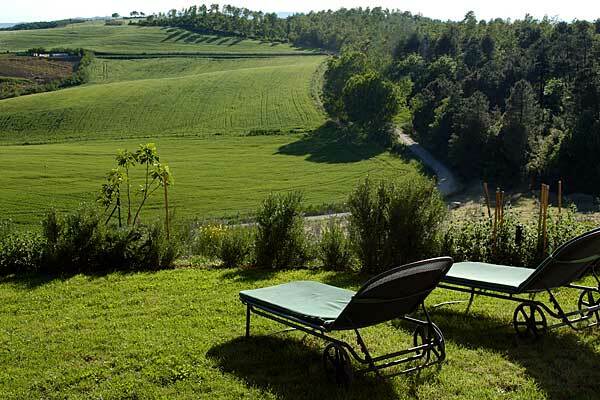 Villa Poggiano is the ideal place for those in search of an exclusive location, peaceful and discreet, as well as for a family. 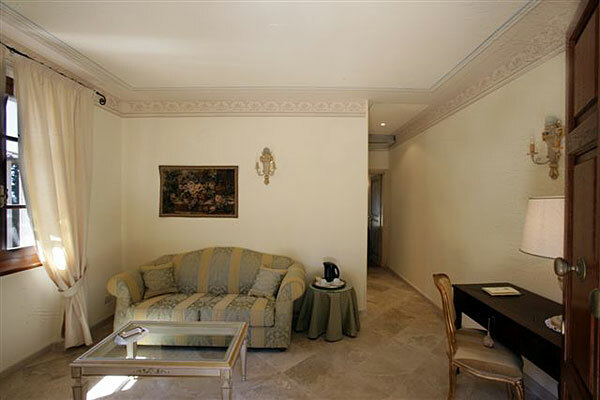 Internet: Yes in common areas, in the rooms the connection is weak. 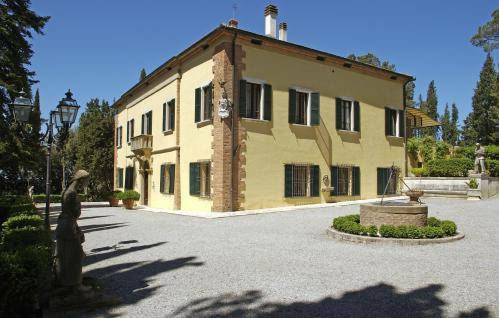 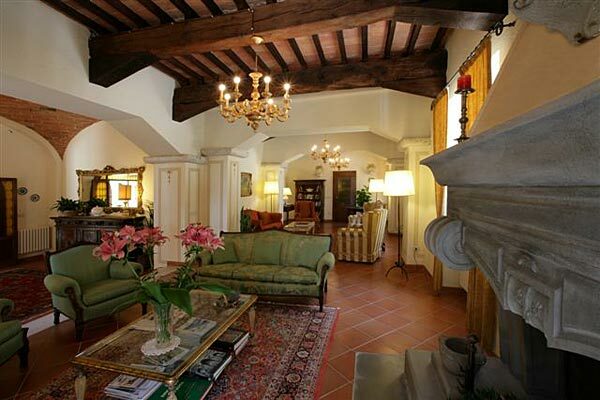 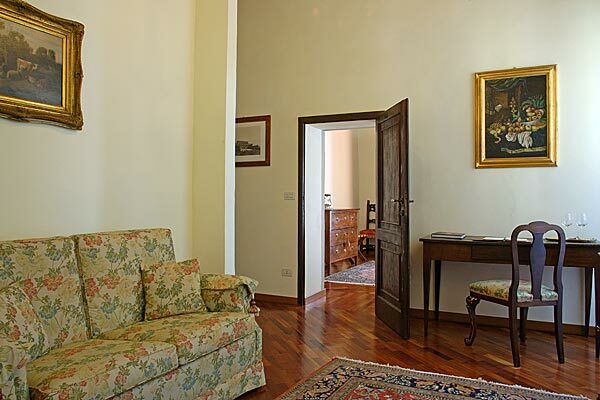 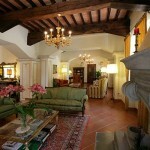 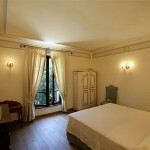 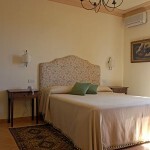 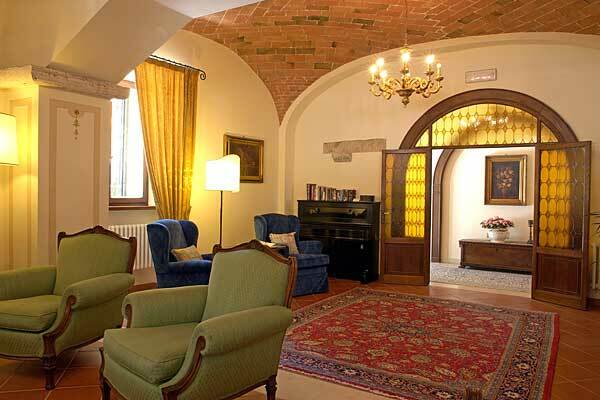 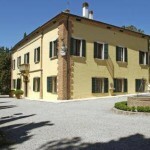 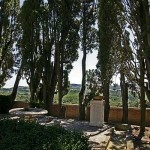 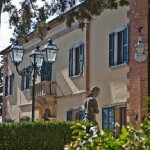 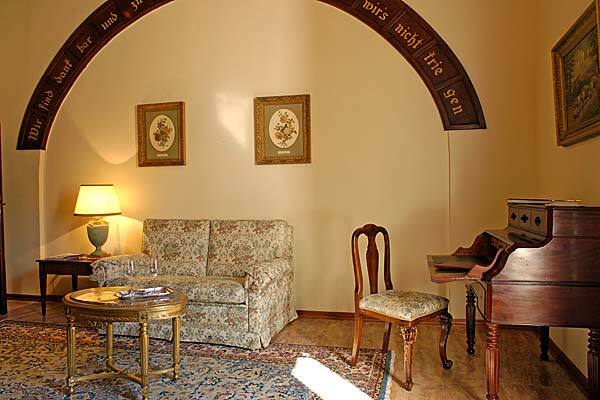 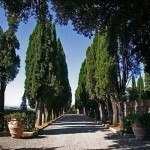 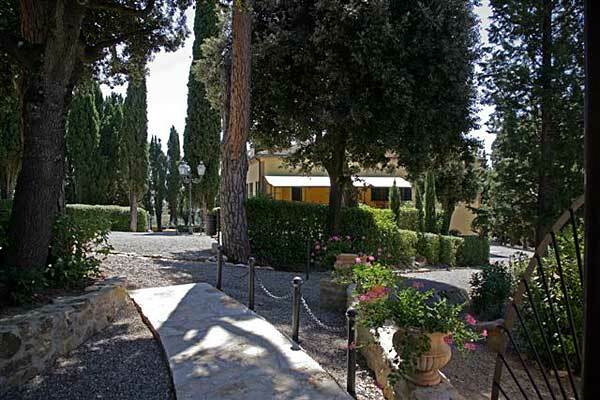 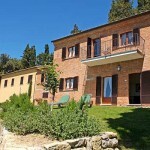 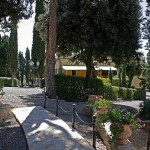 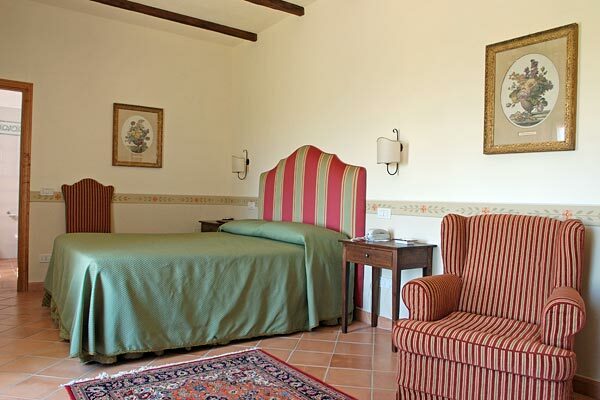 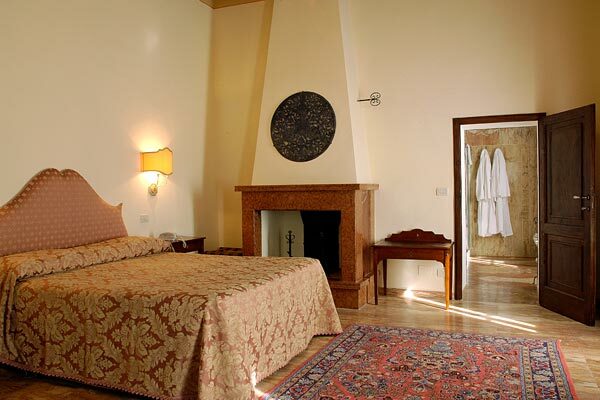 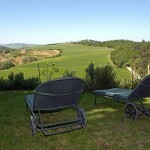 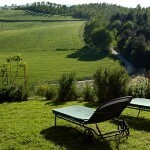 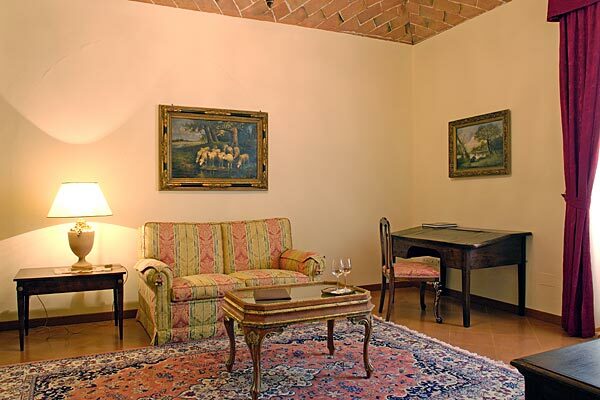 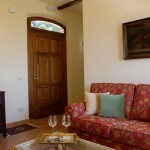 This is a lovely hotel that is located just 3 minutes drive from the charming little village Montepulciano. 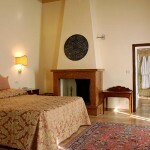 Furnished with antique furniture, paintings tapestry, creating an elegant yet warm and welcoming environment. 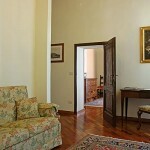 The rooms and suites are located in different building. 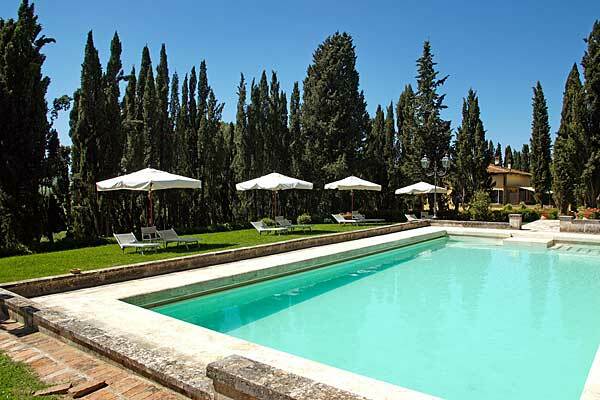 Those situated in the Villa overlook the Italian garden and the splendid marble swimming pool while those in the lodges located in the grounds of the Villa enjoy a magnificent view of the endless cornfields, vineyards and olive groves of Val D’Orcia. 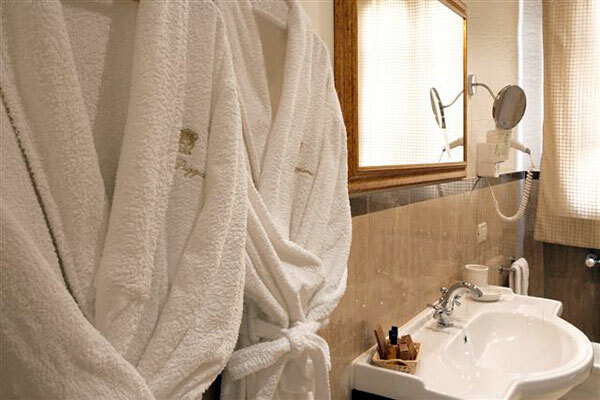 All rooms feature air conditioning, satellite TV, a strongbox, a mini-bar, tea cattle, free wi fi connection and an external telephone line.